YANGON, Dec 19 (Reuters) - Two Reuters journalists completed a week in detention in Myanmar on Tuesday, with no word on where they were being held as authorities proceeded with an investigation into whether they violated the country's colonial-era Official Secrets Act. 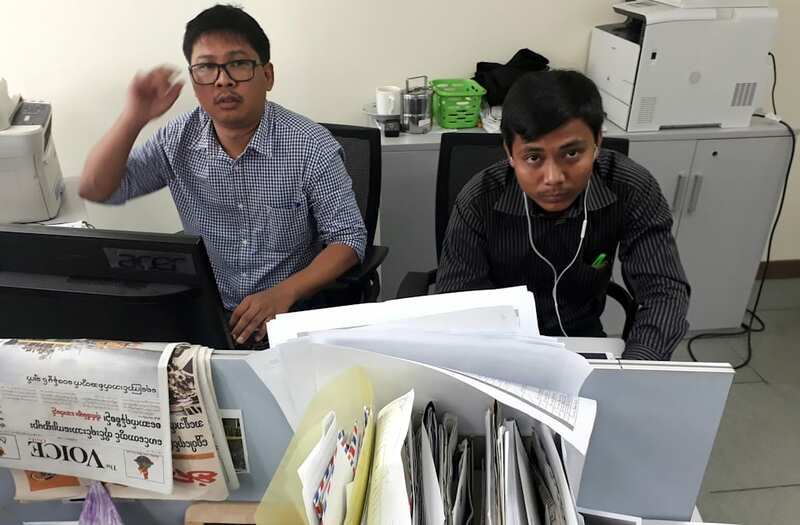 Journalists Wa Lone, 31, and Kyaw Soe Oo, 27, were arrested last Tuesday evening after they were invited to dine with police officers on the outskirts of Myanmar's largest city, Yangon. 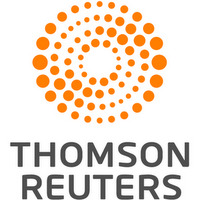 "We and their families continue to be denied access to them or to the most basic information about their well-being and whereabouts," Reuters President and Editor-In-Chief Stephen J. Adler said in a statement calling for their immediate release. "Wa Lone and Kyaw Soe Oo are journalists who perform a crucial role in shedding light on news of global interest, and they are innocent of any wrongdoing." The news group Democratic Voice of Burma (DVB) on Tuesday cited government spokesman Zaw Htay as saying that the journalists were "being treated well and in good health." It gave no further details in its online report. Reuters was unable to reach Zaw Htay for comment. Myanmar's civilian president, Htin Kyaw, a close ally of government leader Aung San Suu Kyi, has authorized the police to proceed with a case against the reporters, Zaw Htay said on Sunday. Approval from the president's office is needed before court proceedings can begin in cases brought under the Official Secrets Act, which has a maximum prison sentence of 14 years. The two journalists had worked on Reuters coverage of a crisis that has seen an estimated 655,000 Rohingya Muslims flee from a fierce military crackdown on militants in the western state of Rakhine. A number of governments, including the United States, Canada and Britain, and United Nations Secretary-General Antonio Guterres, as well as a host of journalists' and human rights' groups, have criticized the arrests as an attack on press freedom and called on Myanmar to release the two men. The European Union's foreign affairs chief Federica Mogherini added her voice on Monday, with her spokeswoman describing the arrests as "a cause of real concern." "Freedom of the press and media is the foundation and a cornerstone of any democracy," the spokeswoman said. Myanmar has seen rapid growth in independent media since censorship imposed under the former junta was lifted in 2012. Rights groups were hopeful there would be further gains in press freedoms after Nobel peace laureate Suu Kyi came to power last year amid a transition from full military rule that had propelled her from political prisoner to elected leader. However, advocacy groups say freedom of speech has been eroded since she took office, with many arrests of journalists, restrictions on reporting in Rakhine state and heavy use of state-run media to control the narrative. About 20 local reporters belonging to the Protection Committee for Myanmar Journalists (PCMJ) posted pictures on Tuesday of themselves wearing black shirts as a sign of protest. They said their act was meant "to signify the dark age of media freedom." "By wearing black shirts, all journalists should show unity," said Tha Lun Zaung Htet, a producer and presenter at DVB Debate TV and a leading member of the PCMJ. "We must fight for press freedom with unity." But most journalists in Yangon did not take part in the campaign. Mya Hnin Aye, senior executive editor at the Voice Weekly, said few participated because the arrested journalists work for foreign media, much of whose "reporting on the Rakhine issue is biased." Myo Nyunt, deputy director for Myanmar's Ministry of Information, told Reuters the case against Wa Lone and Kyaw Soe Oo had nothing to do with press freedom, and said journalists have "freedom to write and speak." The Ministry of Information said last week that the two journalists had "illegally acquired information with the intention to share it with foreign media," and released a photo of them in handcuffs. The authorities have not allowed the journalists any contact with their families, a lawyer or Reuters since their arrest. The International Commission of Jurists (ICJ) called on the authorities to immediately disclose the whereabouts of the pair. "All detainees must be allowed prompt access to a lawyer and to family members," Frederick Rawski, the ICJ's Asia-Pacific Regional Director, said in a statement on Monday. "Authorities are bound to respect these rights in line with Myanmar law and the State's international law obligations." On Sunday, spokesman Zaw Htay said the journalists' legal rights were being respected. "Your reporters are protected by the rule of the law."